JNTUK B.Tech 4-1 Sem (R13,R10) Advance Supply Results Feb 2019 Declared. Below We will Provided The Direct Links To Check JNTUK B.Tech 4-1 Semester (R13, R10) Advanced Supplementary Examinations Results Feb 2019. 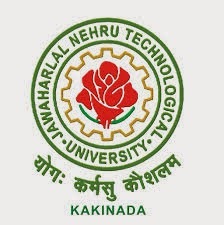 Provided By The JNTUK Kakinada University.JNTUK B.Tech 4-1 Semester (R13, R10) Advanced Supplementary Examinations Results Feb 2019 For The Examinations Conducted In The Month Of Feb 2019 Has Been Announced By The JNTUK Kakinada University. So, All The Students Seeking JNTUK B.Tech 4-1 Semester (R13, R10) Advanced Supplementary Examinations Results Feb 2019 . It Has Been Made Available On 25.03.2019 By The JNTUK Kakinada University.